20.02.2012. 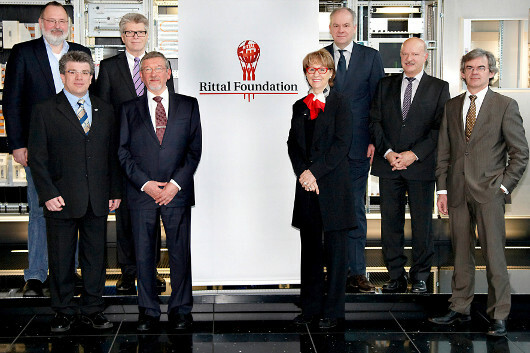 The Rittal Foundation has now started its work with an initial meeting of the Board and Council. The foundation's purpose is to support social and cultural institutions located close to Rittal sites worldwide. Friedhelm Loh announced the plan to establish the foundation last year to mark Rittal's 50th anniversary. Friedhelm Loh has endowed the charitable Rittal Foundation with a capital stock of five million euros. The income from this capital will be distributed annually and donated to social and cultural institutions close to Rittal sites. All the company's sites across the globe will benefit. "I started this foundation knowing that success is never guaranteed," said Loh, owner and CEO of Rittal, when setting up the foundation to mark the company's anniversary. "We've been successful for 50 years, and I owe special gratitude to all members of staff. The Rittal Foundation helps people in need, and it supports other social and cultural institutions and projects”, he added. The foundation's Board and Council have now held their constituting meeting. Loh has appointed Markus Betz, chairman of Rittal's works council in Herborn, Christoph Caselitz, Chief of Customer Operations at Rittal, and Dieter Scherz, an auditor based in Siegen, to the foundation's Board. In addition to Loh and his wife Debora, the foundation's Council comprises Friedemann Hensgen, who was a Rittal executive until his retirement, Stefan Nadler, deputy chairman of the works council in Rittershausen, and Georg Müller, Medical Director and a board member of Humedica and founder of Humedica Forum Hessen. "I regard it as a great honour to be a member of the Rittal Foundation's Council. I am delighted that I am able to use my experience of famine and disaster aid in supporting the foundation work", said Müller. Humedica is one of the many charitable organisations the Friedhelm Loh Group regularly works with during its fundraising campaigns. Last year, Loh and the employees of the Friedhelm Loh Group, which includes Rittal, raised 260,000 euros for people in need in East Africa, a region where Humedica also provides humanitarian aid. "Our aim with the Rittal Foundation is to help people in a way that goes beyond our existing commitment, which takes the form of measures such as our traditional annual donation", said Loh. Dr. Lars Witteck, President of the Giessen Regional Council, handed over the deed of foundation for the Rittal Foundation at the employee celebrations marking Rittal's 50th anniversary last autumn. He thanked founder Friedhelm Loh for his ongoing commitment, saying: "This region would be a poorer and a bleaker place without you." Image 1: The Rittal Foundation's Board and Council (from left to right): Georg Müller, Stefan Nadler, Friedhelm Loh, Dieter Scherz, Debora Loh, Christoph Caselitz, Friedemann Hensgen and Markus Betz.